Since 1913, America has become indebted to the point where we don’t own ourselves anymore. The Federal Reserve, created in that year, has allowed our government to live beyond its means. We would have been a much poorer country without it. Which is great and all, except that we don’t own any of our money. We borrow all of our money from the Federal Reserve with high interest rates and it’s worth very little because they just keep printing more and more whenever they want it. 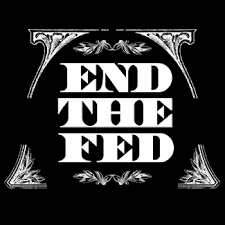 The Fed isn’t even a government agency, it’s just as federal as Federal Express. If we continue to use the Fed, we will be worth nothing. The United States Government will be owned, forever in debt. This is not the route we want to go. JFK gave us a way to get rid of it and save ourselves. Executive order 11110 was put in place 5 months before he was assassinated. It gave Congress the power to print money from the government-owned United States Treasury, backed by real wealth. For the first time, a good president defied the Fed and started to do things right. But then LBJ became president and immediately stopped the printing of U.S. dollars. If we had continued to use it after JFK’s death, we would have our own money and a free market that manages itself. After all, why do we need a bunch of private bank owners around the world to set interest and inflation rates for the whole country? A free market can manage itself. I’m sure that JFK’s death was a warning to all presidents about the danger of messing with the machine, but something needs to be done. A president with good intentions, business experience, and a mind for money can get it done without screwing America over. This needs to be dealt with before it gets any worse than it already is. Abolish the Federal Reserve by Connor is licensed under a Creative Commons Attribution-ShareAlike 4.0 International License. Sir, I’ll look into this more, but it makes me happy to see someone else interested in the economy.